As the only coral island in the volcanic BVI chain, Anegada finds itself a world apart. 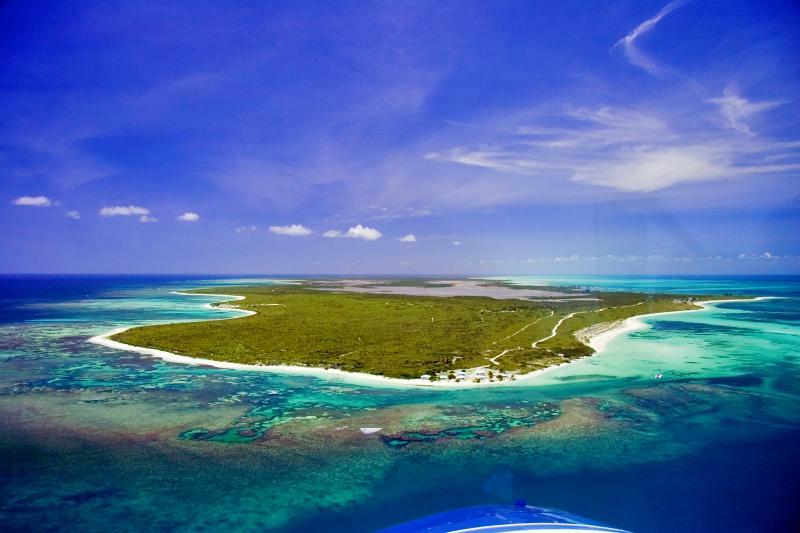 The Spanish named this island Anegada, meaning the “Drowned Land.” Measuring 11 miles by three, Anegada’s highest point is only 28 feet above sea level. Anegada is surrounded by Horseshoe Reef, one of the world’s longest reefs, at 18 miles. We offer two luxury villas on Anegada that are a perfect way to relax and enjoy your Anegada vacation at your own pace and time, offering unparalleled luxury and privacy. Our Anegada advisors can help you find the perfect villa for your Caribbean vacation. Cow Wreck Beach, Flash of Beauty, Bones Bight, and Windlass Bight, to name a few, are stunningly beautiful beaches where one can relax beneath the shade of a coconut palm. Anegada’s secluded and powdery white-sand beaches are sheltered by the reef and the points that sweep out from the shore: Nutmeg, Setting, and Pomato. Bubbling up from a coral bed, clear springs on Anegada support a vast variety of wildlife. Loblolly, sea grape, frangipani and turpentine trees flourish on the island. As do, feathery sea lavender and gorgeous wild orchids. Saltwater ponds, mudflats and mangrove swamps provide homes for an array of exotic birds, that include sandpipers, ospreys, kaloo birds, blue herons, terns, and frigate birds. The ponds near Nutmeg Point are a gathering place for flocks of flamingoes. Following the Bones Bight nature trail, one may catch a quick glimpse of the rare rock iguana that is an Anegada native. Anegada vacations offer reef snorkelers a maze of tunnels, drops and caves that boast a rich marine life. Here, on the sandy bottom, schools of mojarra and needlefish thrive, while green sea turtles swim freely in the sheltered waters. Beyond the reef, scuba divers are sure to witness spectacular sights: Angelfish, triggerfish, parrotfish, stingrays, blue tang, and horse-eye jacks inhabit the drowned holds of numerous Spanish galleons, British warships and American privateers that have long since been wrecked here. Anegada features superb facilities for most water sports, including bonefishing or sport fishing. On land, one may choose to read the island’s history through the maze of stone walls surrounding the Settlement, or the main town. In the East End of Anegada, ancient conch burial mounds and islands attest clearly to the presence of the Arawaks, who had called Anegada home nearly a thousand years ago. At the Anegada Museum, maps declare the locations of over 200 wrecks, while cannons, musket balls and ships’ timbers comprise parts of the recovered booty. Listening to tales of buccaneers, drowned ships, and endless hoards of gold still undiscovered are sure to lend belief that an Anegada vacation takes one to never before seen places. Getting to Anegada is very easy. Tortola’s Beef Island Airport, offers regularly scheduled flights and charter flights are also available from St. Thomas and Virgin Gorda. Or one may opt to bring his or her boat along to find good anchorage at the Setting Point. Traveling around Anegada is facillitated with taxis, jeeps, and minivans available for rent. A small number of hotels and campgrounds are also available. Anegada’s restaurants provide an opportunity to dine on lobster that has been reputed as the Caribbean’s best, or simply to relax with one of the island’s special rum concoctions: either the Rum Teaser or Wreck Punch. Activities on Anegada include: sport fishing, bonefishing, nature watching, sea kayaking, snorkeling, visiting a museum, relaxing on amazing beaches, eating superb lobster.